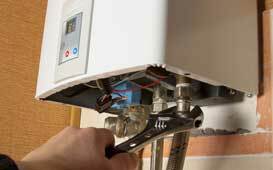 Do You Need a Plumber in Melbourne? There will probably come a time when you, as a homeowner, will need a plumber in a hurry. Maybe a pipe will suddenly burst inside of your home and it needs to be repaired quickly. Or maybe the bathtub drain will clog and the water level will not dissipate. How are you going to take a shower before work if the bathtub will not stop clogging up? We provide Fast Response for all your Plumbing needs. From burst water mains, to blocked drains, to water heater issues, you can be sure we are available in your area. 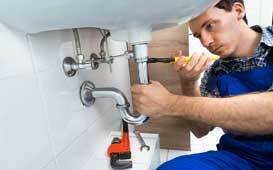 We are available at any time of the day or night for any Plumbing Issue. We understand that some problems cannot wait until the next day. Give us a call and enjoy our Fast, Reliable Service! Need Fast Attendance? When you have a Plumbing Problem that can't wait, The Melbourne Plumber is the company you need. Local contractors for Rapid Response! There is nothing worse than a blocked drain or toilet at the wrong time. Dont wait for the problem to get unmanageable. Get in contact with us 24/7 and we will help! If your Hot Tap is only producing Cold Water, give us a Call. Our technicians will attend quickly and identify the problem. We are fully qualified and insured. If you’re currently looking at an exploded tap that’s gushing water uncontrollably, then why are you on your laptop? Give us a quick call and we’ll be over in next to no timeto help! But for those of you that have spotted a plumbing issue that doesn’t need urgent attention; you’re still in the right place. Our plumbers offer a fantastic range of services, so many in fact that we’re now considered the first port of call for thousands of residents in and around Melbourne. If you are keen to hire our services, why not allow us to introduce you to who we are and what we do first? We’ll tell you a bit more about our services and you will have a better idea of how we can help. If you’re dealing with an emergency of any sort – from a burst pipe, right through to damage within your mains; we can help. Our team of experts are always on hand to attend your property and rectify any plumbing-related concerns, so just try to find where the shut off port is in the mean time to stop any further damage – or wait until we arrive and we’ll take care of it for you. There’s no telling when accidents and emergencies can happen – in fact, that’s why they’re called accidents! Whatever time of day you might need us, or even if you could do with our help urgently in the middle of the night; we are just a phone call away. That’s 24 hours a day, 7 days a week, whatever the weather. Our pipes, fittings and fixtures might be built to last – but there’s really no guarantee that they’ll still be functional well into the future, especially if they suffer with damage from impact, rust, or anything in between. Our plumbers can repair just about any pipe related concern, from bends and breaks, right through to wear and tear and much more. The most effective way to keep your water pipes, boilers and taps functional is by having them maintained by the professionals. We just so happen to be those professionals and our team are here to ensure that if any signs of trouble are spotted; things are taken care of smoothly. And to make you feel even more reassured, our maintenance services are as affordable as they are effective. Just in case we do spot an issue within your pipework, we make a point of bringing a variety of fittings and replacement parts to every call out that we receive – but just in case we don’t have the gear to hand, we know exactly where to source it from. We’ll take care of any replacement tasks that might crop up, whether we spot the issue ourselves, or if you decide that you’d like an upgrade! While we’re on the topic of upgrades, it’s well worth mentioning our installation services. When we say they’re world class we really mean it. We can install new pipes and fittings, we can switch out old and worn parts, or we can establish brand new connections to ensure that your access to water isn’t interrupted. And that’s for commercial and residential properties in equal measure – so whatever you might need us for, we’re just a quick phone call away. Address- 32 Eskdale Dr, Croydon Hills, 3136.